Since we just dispatched the pre-orders for the BEARD CLOSET / PRIMATE PYRAMID tape, and it’s official release is tomorrow, we figured it’s a good time to post our revised release schedule that will bring us up to the end of 2013. Or if you know a weirdo whose music needs a home, send them our way. And if you’re someone who we’ve been discussing a release with, this is a friendly reminder to send us those files! We plan to do up to a maximum of 12 releases (cassette / CD / CDEP / maybe a 7″?!?) next year, ideally on a monthly basis. Also, there’s a very specific (yet completely undefined) label aesthetic (and limited budget), so let that be a caveat that we reserve the right to be beggars and picky choosers. Sides 17 and 18 of the Arachnidiscs Recordings Split Tape Series. Release date: October 31st, 2013. Toronto’s Beard Closet and Primate Pyramid administer 40 minutes of essential Skullflower-esque doom-gaze guitar improvisations. White noise bliss. Harmonic reverberations. Avant post-rock drone. Ambient guitar experimentations. Hypnagogic feedback dreams. High-bias cassette tape. Gold cassette shells. 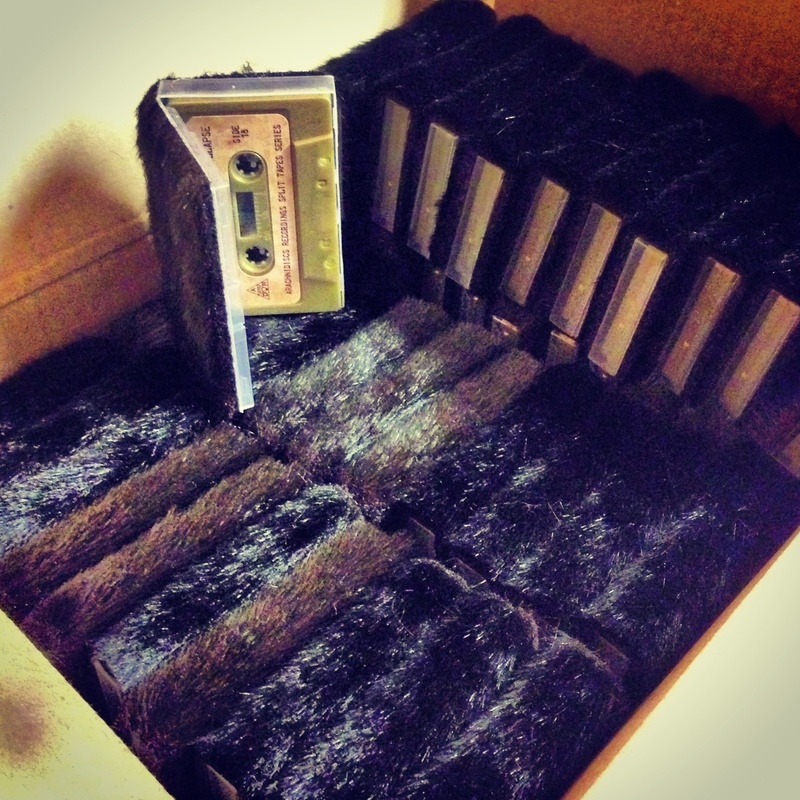 Hand assembled, fur-covered cassette boxes. Pre-order includes immediate download of 3 tracks in your choice of high-quality MP3, FLAC, or other formats. The physical cassette will be shipped on or before Halloween 2013 (All together now: oooo-whoooo-oooo). In preparation for their numerous live shows this week, Moonwood spent the weekend (Sept. 28-29, 2013) rehearsing. Out of that, 128.5 minutes of music got recorded. They captured a few slow-burning versions of their current improvised arrangements for “Trans Lunar Express” and “Trans Martian Express” as well as an in-progress piece with the working title “Surf The Casbah“. Also a completely new, completely improvised, probably never to be played again, 20-minute post-punk tinged tune called “I Went Walking“. Patience rewards with deep droning freak-out culminations. Available for stream and purchase at Bandcamp. 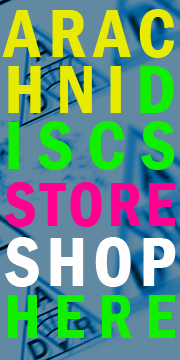 You are currently browsing the ARACHNIDISCS RECORDINGS blog archives for October, 2013.